Connections are fascinating and the textile metaphor of interconnected threads often appears, and in this case a very apt description. 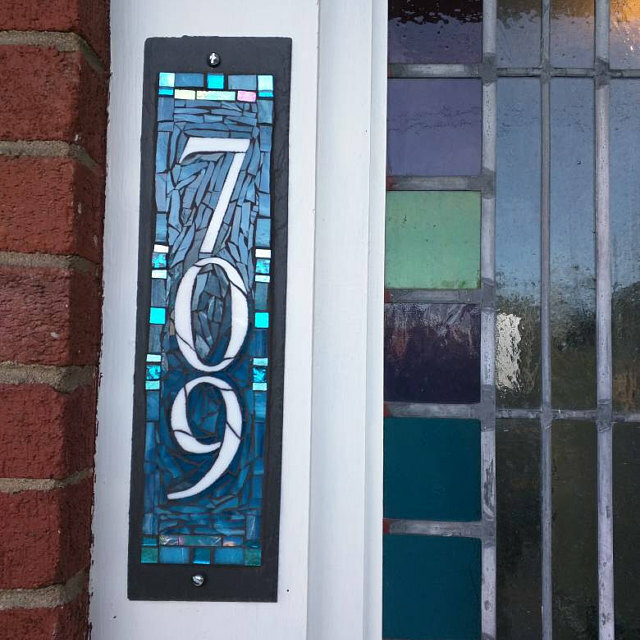 The 709 house number was commissioned by Juliane Gorman of FeltHappiness, maker of fantastical felted hats. She found Nutmeg Designs through her work at TAFA: The Textile and Fiber Art List, when I followed TAFAList because of my love of textile art. Check out FeltHappiness and TAFA for a dose of textile beauty! 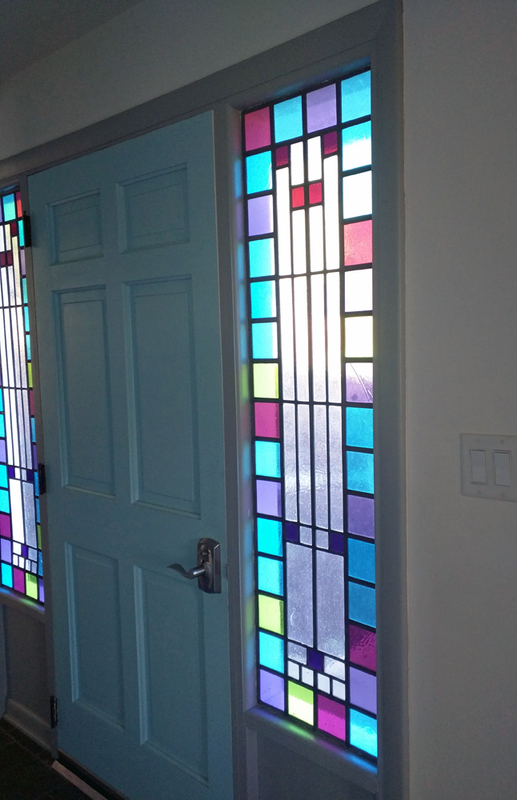 She wanted a number to resonate with the narrow stained glass panels (in a sort of modernist, ‘De Stijl’ style) flanking the front door – the dominant color is turquoise, with accents of yellow green and red violet. Both being very attuned to color, Juliane and I worked through the possibilities, deciding to go with “less is more” and the elegance of primarily turquoise and aqua.